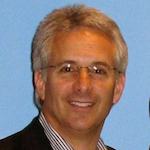 Barry Hafft has joined Trends International as EVP Sales and Retail Services. He joins from Walt Disney Consumer Products where spent over 25 years. Most recently he was VP National Sales.